Whether you live at the coast or just dream about it, you can surround yourself with decor that takes your imagination to the surf and sand every time you look at it. 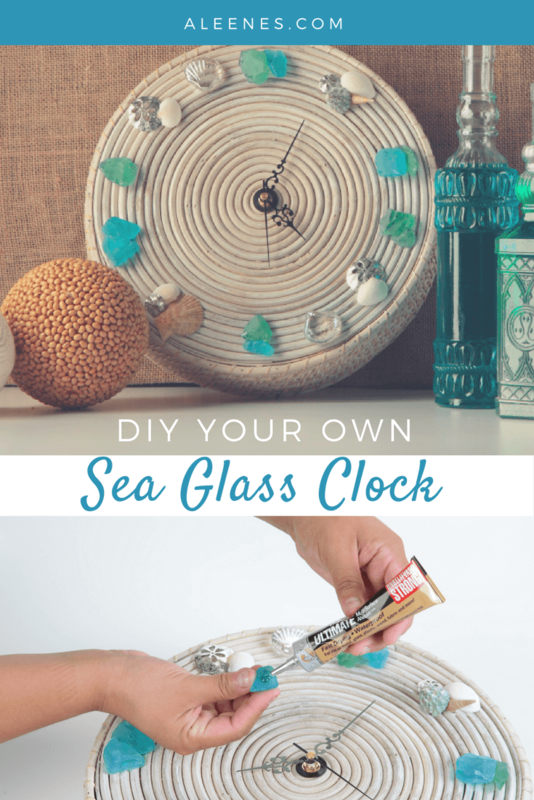 Turn a simple basket into a beachy keen clock with sea glass and a little help from Aleene's® The Ultimate Multi-Surface Adhesive! After you've installed the clock kit, arrange sea glass, seashells and charms around the clock face to align them with where the hands will point to the correct times. Glue everything in place. Allow to dry flat for 24 hours before mounting clock. Time to kick up your feet and daydream about the beach!